My name is Mariya and the past decade, I have advocated against female genital cutting/mutilation by sharing my story, and by helping other women to share their own stories of undergoing FGM/C. My story has received attention from several media sources like NPR, USA Today, and ABC News (read Because I was Harmed). In 2017, I started a fundraiser to let other women who were also survivors or who had loved ones who were survivors, to come together to attend a digital storytelling workshop so that they could heal and share their story in a safe and supportive space. With support from friends and family, we raised enough money to host this workshop in May 2018. 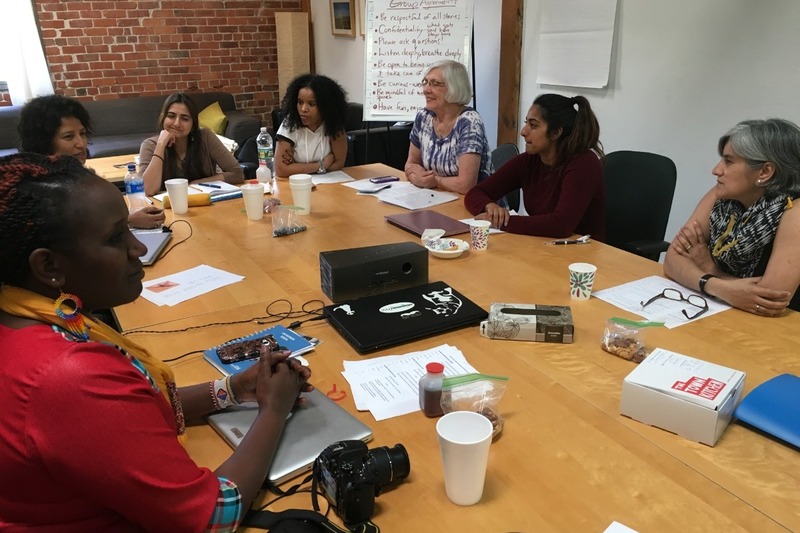 Nine women from across the United States, from different backgrounds, but who were all connected to FGM/C shared their stories. Learn more about the project by reading "Sahiyo Stories: Shattering the Silence on Female Genital Mutilation and Cutting "
Now, I want to host a second workshop in 2019 to bring even more women together so that we can continue to break the silence on FGM/C. I am calling once again on my family, friends, and community to help bring an end to the silence around FGM/C. For centuries, women have been afraid to speak up because of a fear of being socially ostracized from their community, being labeled a victim, or getting their loved ones in trouble. This StoryCenter workshop will allow women to come together in a supportive environment so they can heal, reclaim a piece of themselves that was lost when they underwent FGM/C, and help build a critical mass of voices against FGM/C, demonstrating that there is a growing trend to abandon this harmful practice. Stories are powerful and can create change. They spark our emotions and wake us up to our reality. Too often in everyday life, we try and connect with each other on a rational level, but this isn’t always enough to change behavior. People must be emotionally engaged to understand what you want them to do. StoryCenter’s digital storytelling platform will allow survivors to share their stories and directly engage with the broader community to stop FGM/C from happening to the next generation of girls. Help me ensure more women's voices are heard. Donate today! Any donation of $10, $15, $20, or $30 is greatly appreciated to make sharing these stories possible. Those who donate $50 or more will be acknowledged on my social media page. Those who donate $100 or more will receive a special credit at the end of the digital stories that are produced. Thank you in advance for reading, sharing, and donating!